Sedona Colors Fat-Quarters exclusively by Quilter's Store Sedona. 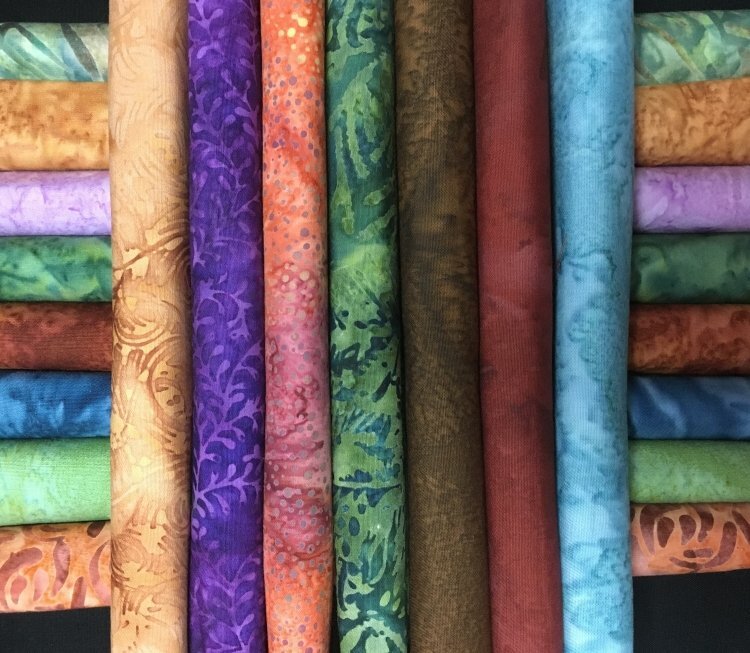 Fifteen rolled fat quarters in the colors of Sedona's landscape -- earthy rusts and greens, a touch of blue and a purple accent to cool things down. Fabrics may vary from photo.